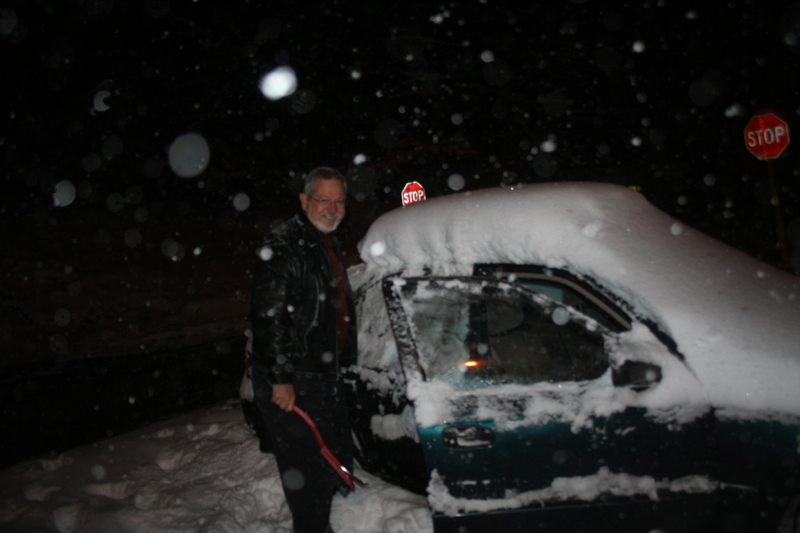 On the nights of March 4th, 5th, and 6th Dr. Parker Troischt and Dr. Ron Olowin headed the team* of remote observers at Hartwick College. The first two nights of runs proved to be, as usual, “boring” (as in “boring is good” according to the motto) and grand, the first night containing GPS and the San Juan Radar as strong as ever. The second night started out eventful when we found out a few hours before observing was to take place that the campus server had gone down. There was much frantic calling, figuring out a back-up plan in case the server did not get fixed in time. Luckily, it did get fixed in time and we had a successful (and luckily “boring”) night of observing. 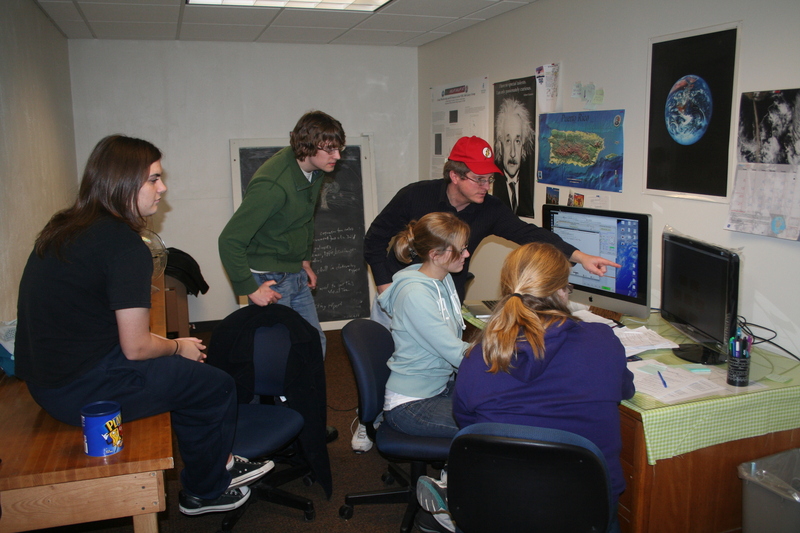 The team clustered around the observing computer. As I write this right now at 2:30 in the morning, the night has proven to be quiet (though the weather here has proven to be the opposite being caught in a snow belt.. about 16” fell tonight.. very cold and wet.) Overall, remote observing has proven to be a great learning experience, providing us with the knowledge to continue remote observing, along with the prospect of teaching each other the different aspects of which we have acquired during these runs. La la la. A sense of the snow that fell while observing. *The team besides consisting of Dr. Parker Troischt (Hartwick) and Dr. Ron Olowin (St. Mary’s) consisted of Dr. Rebecca Koopmann (Union), Michelle Brault (’11), Catherine Weigel (’12), Jaclyn Patterson (’13), and Nathan Nichols (’14).